BACK ON THE MARKET. NO CDD. Low HOA fee. Small, friendly, quiet neighborhood in golfing community. Cute two bedroom, two bath with combination living & dining rooms, split bedroom for privacy, kitchen with cafe-style bay window breakfast area. Cafe and Living rooms have Slider access to Lanai with view of oaks for enjoying quiet time with a book or coffee. Great small home with a bigger feel, for year round living, seasonal/vacation use or investment rental property. 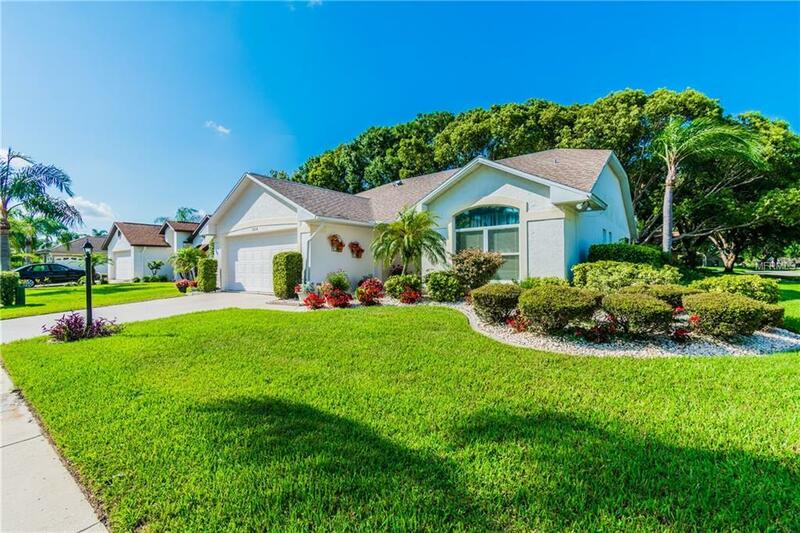 Situated about half way between Tampa and Sarasota; close to Florida's fabulous beaches and only about 75 minutes to all of the available activities and amusements in and around Disney World. This is a move-in ready home that anyone would love to call their own. Why shouldn't you buy it before someone else does? Furniture is available with separate agreement.